Lyra is a retro, statement collection, made for relaxing. 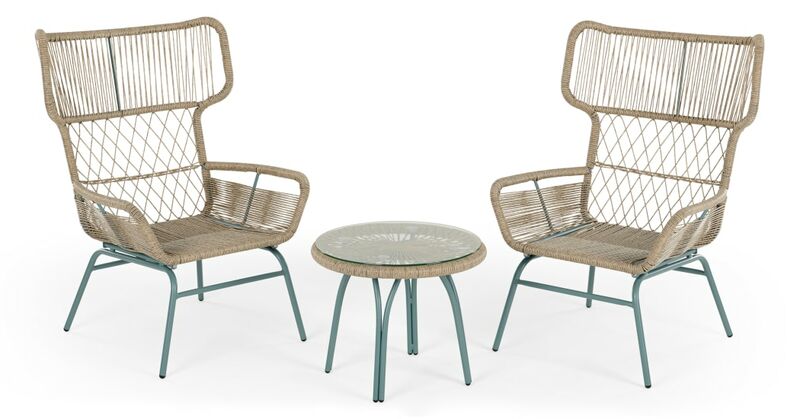 It's crafted from woven poly rattan and a blue metal frame. Do al fresco in style – this set comes with two chairs and a coffee table. With its blue metal frame and winged poly rattan arms, Lyra adds instant retro appeal to your outdoor space. Fancy a long afternoon in the sun? These seats are woven, with a slight give when you sit on them, making them extra comfy.